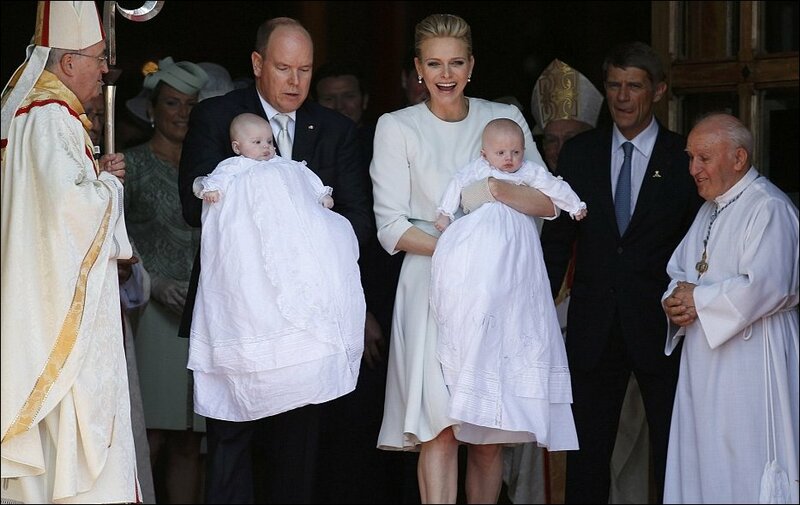 Prince Albert and Princess Charlene of Monaco leave Monaco Cathedral and pose for photos after the Christening of their twins, daughter Gabriella Therese Marie and son Jacques Honore Rainer, 5 months, on Sunday, May 10th 2015. This entry was posted in Christenings, Dad and Baby Photos, Mum and Baby Photos, Royalty, Twins. Bookmark the permalink.